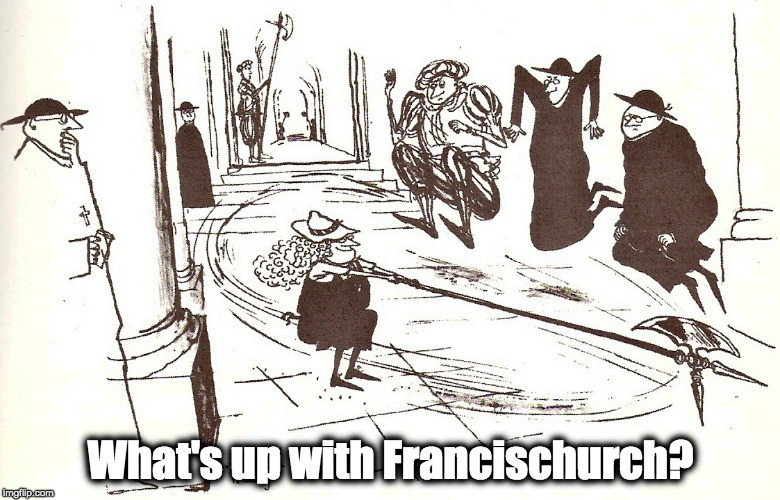 Shakey Shupich – What's Up With Francis-Church? Frankly, if I never hear the guy – or any Catholic bishop – ever say the words “male-on-male sheckshual abyush” it’ll be too soon. In other news, Pope Francis just doesn’t see what the fuss is about. The pope concurs with Wolton’s premise that the most radical message of the Gospel is greed and “money madness.” This message is obscured, however, due to what he sees as the Church’s preoccupation with sexual immorality and deviance. It’s not like he hasn’t been singing this tune all along. Remember what he said about abortion? We shouldn’t be “obsessing” over it. I mean, what’s 50 million dead babies a year when there’s still poor people? And the destruction of souls that abortion brings? What even is the soul, anyway? That’s angelism. There’s more concrete things to think about, amirite? It is quite likely that this casual attitude regarding the vice of lust is shared by many in the hierarchy aside from the unnamed cardinal whom the pope admires so much…Given the tone and substance of papal writings like Amoris Laetitia, it is not an exaggeration to suggest that this lower profile for sexual sinfulness is at least a tacit theme of this pontificate. This minimization strategy is one way of accommodating to some degree the new moral order ushered in by the Sexual Revolution. Perhaps this cavalier approach also explains why so many bishops who heard “rumors” about Cardinal McCarrick’s perverse misdeeds never took them too seriously until it was revealed that minors were also his victims. And maybe it explains why there isn’t more indignation over the sexual misbehavior of the clergy with young adults and seminarians. Trouble is that this soft-sells it. 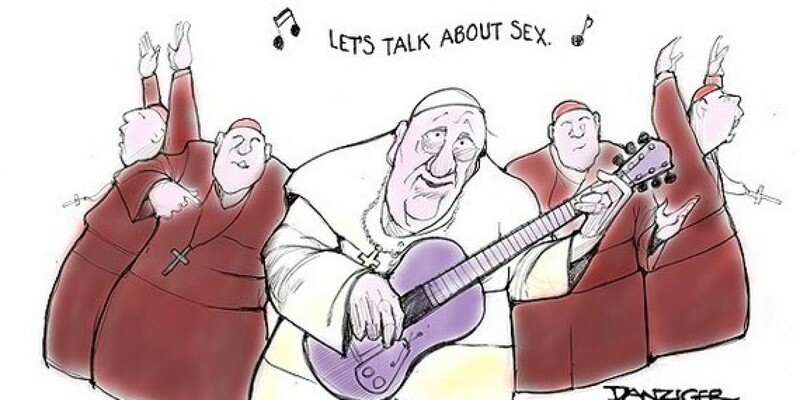 In fact, Bergoglio has for nearly six years done everything he possibly could to undermine and diminish the Church’s teaching on sexual morality, up to and including mandating sacrilegious Communion. In fact, he has laid siege to every bastion of it, and has dismantled those institutions that John Paul II set up to defend and re-assert them and reconstructed them as engines of the Sexual Revolution. And make no mistake; this is what he was elected for. The men who put him in place put him there for this task. Bergoglio might have maintained a careful mask of ambiguity, but Godfried Danneels certainly didn’t. And really? He hasn’t “suggested” any doctrinal changes? Are we really still singing that old tired tune? There is a simple explanation for him not “suggesting any doctrinal changes” and that is that he knows very precisely the limits of the knife edge he walks between material and formal heresy. He knows, in other words, how far he can push. And he has had a habit of pushing just a little bit farther than that. We have watched him putting his toes right up to the poisoned pool so many times that it simply beggars belief that he isn’t doing it deliberately.